Lirika is a simple, compact and performing machine, ideal for the office and small Ho.Re.Ca. venues. It has modern and essential lines, high capacity water and coffee tanks and is incredibly easy to use. Lirika, Lirika Plus and Lirika OTC are the best expression of Saeco know-how, in three versions that offer a concentrated mix of top quality and performance. The wide display (in the OTC version with completely redesigned icons) allows the user to choose espresso or coffee and hot water or steam delivered through an independent wand (steam not available in the OTC version). They can also prepare creamy and tasty cappuccinos and latte macchiato, also with the “One Touch“ system in Lirika OTC, thanks to the innovative “Pinless Wonder“ cappuccinatore. All the models are characterised by the pre-brewing system, a Class A boiler, ceramic blades and a removable brewing unit (with aroma intensity calibration in the OTC and Plus versions), to facilitate cleaning and maintenance activities. 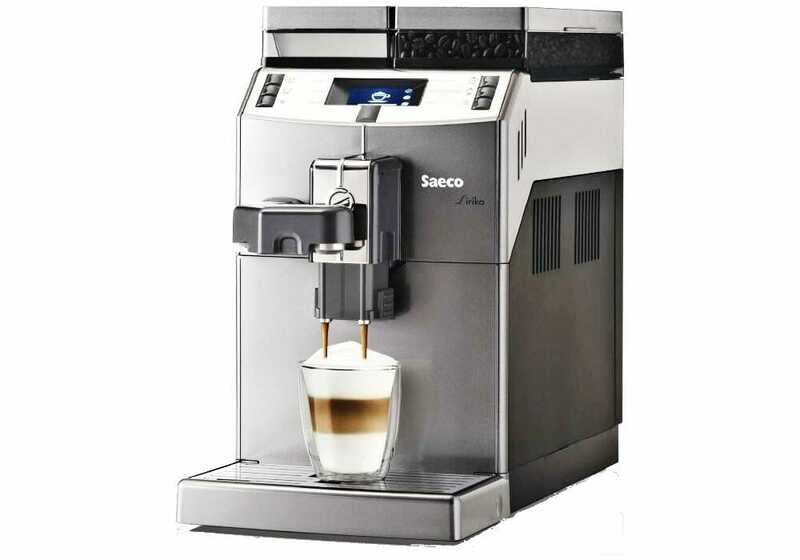 “One Touch Cappuccino“ is Saeco‘s exclusive system for brewing a perfect cappuccino or latte macchiato, in the best Italian tradition, thanks to the special cappuccinatore, the “Pinless Wonder”. An innovative system, mounted only on the Lirika OTC version, that creates a delightful foam, collecting milk directly from its pack or from the fridge, as required in B2B applications. In this way, the “One Touch Cappuccino“ system delivers creamy cappuccinos or latte macchiato directly in your cup. In addition, Lirika OTC has a “Mini-Clean“ function: after every milk delivery, the system asks whether to activate the self-cleaning procedure with about 20 cc of hot water.